I’m proud to say that we are once again looking at one of Charlie Kaufman’s pieces of work. With films like Eternal Sunshine of the Spotless Mind, Being John Malkovich, and Synecdoche, New York under his belt, it’s pretty safe to say that he is one of the most brilliant screenwriters alive, and quite possibly of all time. Now we have Anomalisa, a startlingly quiet film that comes at you like a sucker punch to the cerebellum. The joy of this movie comes from not only watching it and seeing what Kaufman has to say, but also the hours and days after that you will spend thinking about it. Michael Stone (David Thewlis) is a self-help author who has traveled to Cincinnati to speak about his new book about becoming the best customer service representative you can be. While spending the night in his hotel, Stone becomes completely disassociated with reality and begins to see everyone as just one person (all voice by Tom Noonan). His night takes a hopeful turn when he hears a beautiful voice coming from down the hall. While investigating, he finds the source of the voice to be a young woman name Lisa (Jennifer Jason Leigh), who is actually in town to see Stone speak. What follows is a night that may end up changing both of their lives, that is if Stone finally opens up about who he is and realizes the truths of other people. Much like Kaufman’s other movies, part of the genius of Anomalisa is that it forces you to examine yourself and how you see the world and other people. What may turn some people off is that you may not like what you see when you actually look. This is exactly how I felt after I watched Synecdoche, New York, and even though these movies can make you feel a little bit less than spectacular, they do teach a very important lesson. Anomalisa, compared to his other work, isn’t quite as strange or complicated on the surface but once you think about it for a few days, you find many more layers that you never recognized before. When I first heard that Anomalisa was going to be a feature length stop motion film, I was thrilled. It seems like a such a perfect way for Kaufman to tell a story, and I honestly don’t think this movie would’ve packed the punch that it did if it wasn’t stop motion. This story was originally done as a sound play with the actors on different sides of the stage just reading the lines, and then it was conceived by both Kaufman and co-director Duke Johnson as a 40 minute short film. The final run time ends up being an hour and a half, and my only gripe is that it might have worked better as a 40 minute short film. There’s a lot of scenes of Michael Stone just sort of sitting in his room, and I get that it’s supposed to show how mundane he views his life, but the movie might have progressed a little better as a short film. Back to the stop motion. The animation in Anomalisa is really something to behold and I’ve quite honestly never seen anything like it. My experience with stop motion films are mostly things like The Nightmare Before Christmas, The Boxtrolls, and Coraline, which of course aren’t the only stop motion features, but they’re the ones I feel the most familiar with. The animation and puppets in this film are something completely different in that they feel so close to being real people. This kind of goes with the themes of the movie. It reinforces the question the movie is asking about what it means to be human and what separates us from just being these walking machines programmed to mindlessly go about our everyday lives without question. Charlie Kaufman knocks it out of the park once again with Anomalisa and has shown that the most human stories can be told without humans actually being onscreen. This is a movie that forces you to look at yourself and possibly even learn a thing or two. It’s a sad film, but in some ways it’s also a happy one. I guess what I’m trying to say is that it’s an exhausting emotional roller coaster that won’t be easy to forget. When Quentin Tarantino released Reservoir Dogs in 1992, it was clear that he was to be destined for stardom, but it was Pulp Fiction that made him one of the most recognized and often most abrasive cinematic voices of our time. But that’s part of the fun of watching a new Tarantino movie. You really just never know what to expect. To be quite honest, I’ve been getting a little sick of all the Tarantino hype. This made me feel a little bit less than excited to see The Hateful Eight, but this film turned out to be a breath of fresh air. If Reservoir Dogs meets a spaghetti western, meets Agatha Christie doesn’t sound appealing, then I don’t know what would. On a snowy road in Wyoming, a bounty hunter named John “the Hangman” Ruth (Kurt Russell) comes across Major Marquis Warren (Samuel L. Jackson), another bounty hunter with more ruthless tactics. Warren joins Ruth and his bounty, Daisy Domergue (Jennifer Jason Leigh), in their carriage as they are both making their way to the town of Red Rock. They also pick up the future sheriff of Red Rock, Chris Mannix (Walton Goggins), but have to stop when a major blizzard forces them to take shelter in Minnie’s Haberdashery, which is actually a stagecoach lodge with a more than deceiving name. Things don’t seem right at Minnie’s Haberdashery, and it becomes clear that some of the other inhabitants are planning something sinister. Now it becomes a drawn out fight to stay alive and figure out who has something up their sleeves and why. Let’s get the negatives out of the way first because The Hateful Eight is nowhere near a perfect movie and still doesn’t stack up with Tarantino’s earlier efforts. Is this movie a huge ego project for Tarantino? Yes it is. Pretty much everything has been since Pulp Fiction, but I’m not going to hold that against him because I enjoy a lot of his movies quite a bit. The Hateful Eight drags on and on in the first 45 minutes of its nearly three hour runtime with the kind of dialogue you’ve come to expect since the first scene of Inglourious Basterds, which I still think is his masterpiece. The only problem is that the dialogue is far too expository and nowhere near interesting enough. It’s pretty much just the characters in the stagecoach telling each other about their pasts so the audience knows how quirky they are. 45 minutes of that. My God, it was really killing me. Thankfully, things start getting a lot better when they get to the cabin. What made Inglourious Basterds such a cool movie was that it took the feel of classic war films and a comic book style of rules and mushed them to become one of my all time favorite movies. The main reason I like The Hateful Eight as much as I do is because of those same reasons. This movie takes a spaghetti western format and injects a classic murder mystery with the style that Tarantino is known for. Speaking of things this guy is known for, it’s really cool that the majority of this movie takes place in Minnie’s Haberdashery. Someone said before I saw this movie that it would work great as a stage play, and I couldn’t agree more. I love when movies feel like this, and it only makes me compare it more to Tarantino’s exceptional debut, Reservoir Dogs. There’s also plenty of things in The Hateful Eight that I was not expecting, and that’s a good thing. Tarantino has made it quite clear that the shock value in his movies are there on purpose, and that’s part of the fun of watching his movies. While this movie does feel very self indulgent when it comes to the violence and shocking scenes, I still can’t deny that they weren’t effective. Also the cast of actors in this movie is one of the best of the year. Jennifer Jason Leigh was fantastic as Daisy Domergue and has earned herself an Academy Award nomination for her performance. I was also thrilled to see Walton Goggins, who is one of the most underrated actors out there, get a lot of time to shine at the forefront of the movie. Finally, this film has the best original score you’ll hear all year. It’s already won the Golden Globe, and if it doesn’t take home an Oscar for it, I’ll eat my elbow. I’ve been really on the fence with Quentin Tarantino recently, and I still have my reservations about what’s to come. While that is said, I enjoyed The Hateful Eight far more than I thought I was. I still say that Tarantino just has to tone it down a little bit and not work to make another movie simply to show how awesome he is. A lot of people are saying that this is his worst movie, but they must have all forgotten Jackie Brown. While this isn’t as satisfying as some of his other work, I still can’t deny the fun that I had with it. 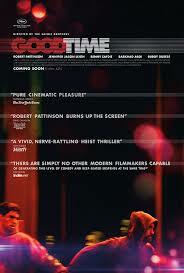 Here’s a movie that the late, great Roger Ebert called the best film of the decade back when it was released in 2008. 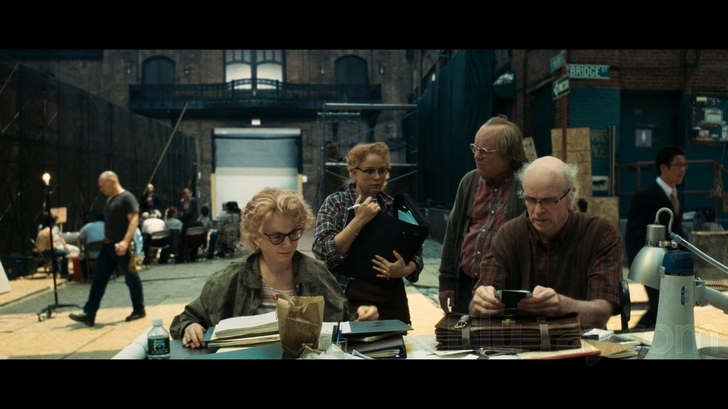 This is Charlie Kaufman’s directorial debut, Synecdoche, New York. Before this film, Kaufman established himself as one of the greatest modern day story tellers with his screenplays of Being John Malkovich, Adaptation, and Eternal Sunshine of the Spotless Mind, for which he won the Academy Award for Best Original Screenplay. He’s a writer like no other, and the puzzles that his movies present are proof. That being said, Synecdoche, New York comes off as his most personal and most challenging work yet. Caden Cotard (Philip Seymour Hoffman) is a theater director working in New York City. His most recent play is a success, but life at home couldn’t be worse. First, Cotard begins to suspect that he’s suffering from a degenerative disorder that’s practically shutting his body down. To make matters worse, his wife Adele (Catherine Keener) takes their daughter to Berlin for an art show, but never return. To cope with this, Cotard begins working on a personal and extremely realistic piece of theater by constructing a replica of New York City inside a giant warehouse with thousands of actors playing real life people acting out situations that have happened in day to day life. As the line of Cotard’s fiction and Cotard’s reality begin to become one, he begins to lose all track of time and control on his other relationships with multiple women in his theater group. Anyone who is familiar with Charlie Kaufman’s work knows that he is not afraid to put our minds through a cinematic blender. Eternal Sunshine and Being John Malkovich subscribed to a set of rules that seem only to exist in Kaufman’s mind. Things don’t have to make sense or follow any linear design as long as his story is there and he gets across what he’s trying to say, even though you may not get everything the first time through. You can’t really say that with most directors, but Kaufman makes it work. Unlike the other movies I’ve mentioned, the story in Synecdoche, New York completely goes off the rails leaving time and space to be a minor footnote to a work that’s much more important. Aside from being mind boggling in story, Synecdoche, New York also succeeded at boggling my emotions. This is one hell of a heavy movies despite how completely off the walls it is. There’s so much stuff to find hilarious in this movie, for example doctors who do their best to give their patients as little insight as possible, a psychiatrist who doesn’t seem to be even listening, and a character who buys and lives in a house that’s perpetually on fire. However, and this is a huge however, once the movie starts getting into its later scenes and I began to realize more and more the message of the movie, I found myself getting hopelessly sad in a way that a movie hasn’t done to me in a while. So, yes, the movie is really funny in many scenes, but it’s overall quite upsetting, but upon closer inspection it may give you a surge of great joy. With the huge emotional response and the fact that this world Kaufman has made exists outside the realm of conventional rules, it’s safe to say that watching this movie just once is a bad idea. Going back and thinking about this movie more has made me realize all of the little clues, themes, and symbols that I completely failed to notice the first time through. It’ll almost be like watching the movie for the first time all over again now that I know how much it really plays with your mind. The only complaint I can possibly have about this movie is that it seemed to go on and on. For a movie as strange as this with all of its complicated storytelling, it is a little bit long and I felt it necessary to take a little break in the middle. 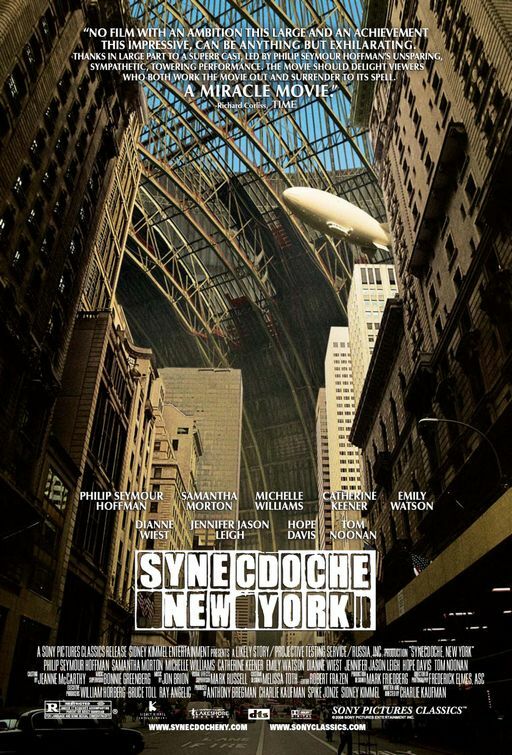 Going back to what Roger Ebert said about Synecdoche, New York being the best movie of the decade, I wouldn’t go that far in my opinion. It is still a truly remarkable movie that feels very personal to Kaufman, but also works great as a movie that exists to figure out the meaning of the story and piece together all the clues that seem to be subliminally sneaked into the movie. Still, this movie is not for everyone. It’s so complex and difficult that the casual movie watcher may not be interested. For the nice audience that it is directed too, however, this is a fascinating and original film that fits perfectly into Charlie Kaufman’s filmography and succeeds especially as his debut film. There are times when I put on a movie that I know nothing about, and I end up being blown away and wonder to myself why I haven’t watched or known about these movie before. Then there are times where I put on a movie of which I have no knowledge of and wonder why I even bothered watching it in the first place. I can’t say I really shouldn’t have bothered watching The Jacket, but I can’t say that it meets these two feelings halfway. This a movie that thinks it’s smarter than it actually is, but actually leans to the side of generic ludicrous. 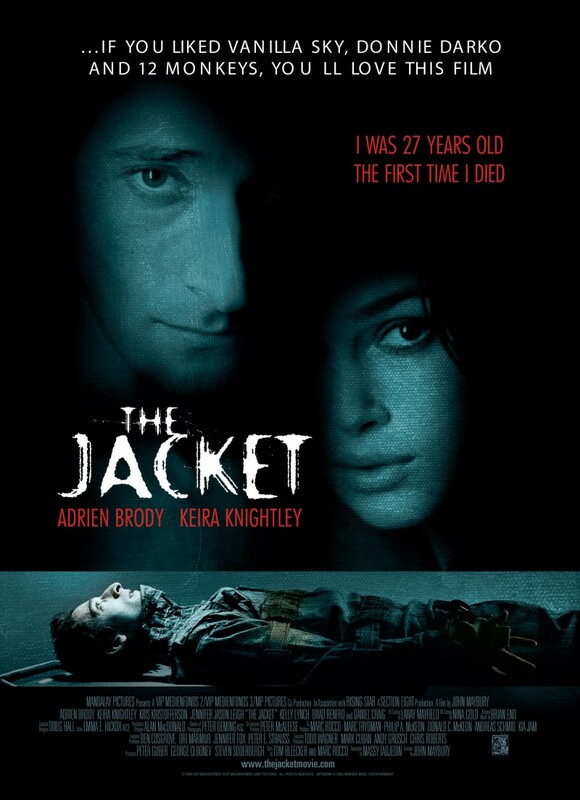 After receiving a head wound in the Gulf War, Jack Starks (Adrien Brody) returns to America with severe amnesia. As luck would have it, Jack is inadvertently involved in the murder of a police officer and is sentenced to a mental institution after he can’t remember what happened or the level of his involvement. While at the institute, Jack becomes part of a sadistic psychological treatment created by Dr. Becker (Kris Kristofferson). 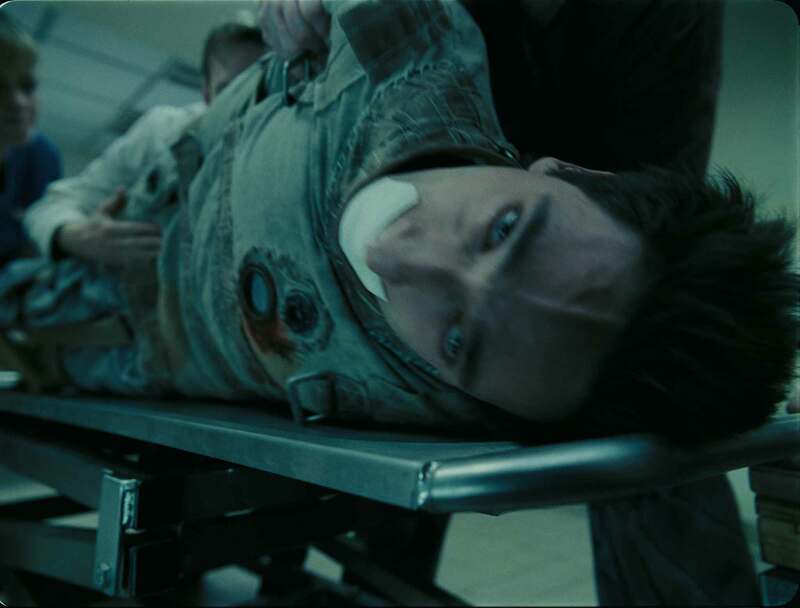 The treatment has Jack getting put in a straightjacket, strapped to a table, injected with experimental drugs, and being locked in a morgue locker. While inside, he begins hallucinating and even travels 15 years into the future where he meets Jackie (Keira Knightley), who he met when she was young. During his trips through time, Jack learns that he will die in 4 days, which leads Jack and Jackie investigating the hospital and the legality of the treatment. If you take a look at the poster that I put up here you’ll see that one of the taglines is “If you liked Vanilla Sky, Donnie Darko, and 12 Monkeys than you’ll love this film.” OK, lets think about this. I’ve never seen Vanilla Sky, but if you want to compare it to the two other films mentioned, you’ll see some major differences. Donnie Darko and 12 Monkeys are both really intelligent, mind bending science fiction films that really demand the viewer to watch them at least twice. 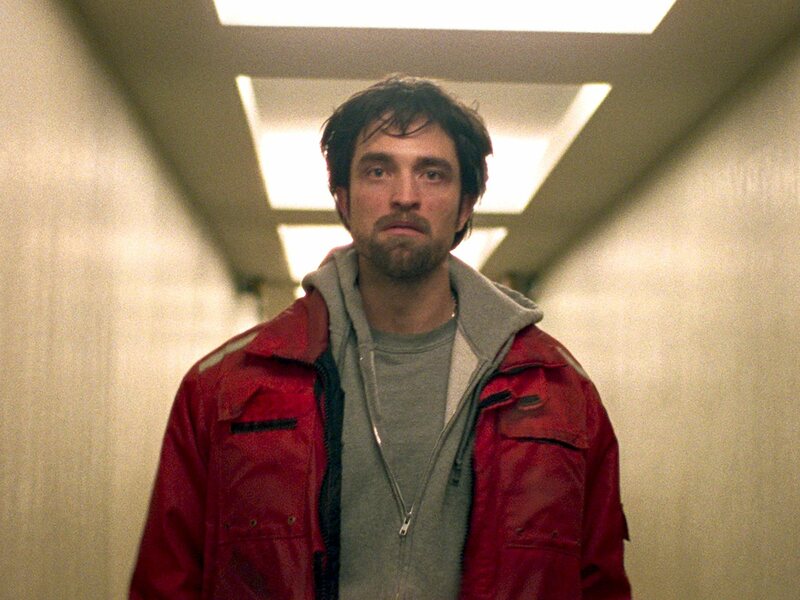 The Jacket really thinks it’s smart, but it turns out to be really convoluted and more so just rehashes the style and certain ideas that were already used in these movies That’s what’s really unfortunate. There is so much room to play around with the plot of this movie, but it turns out to be completely misused. This film is the perfect example of a movie that fails almost solely because of the writing. Massy Tadjedin wrote a screenplay that is full of ideas that almost seem to be thrown away for drama that I really don’t care about because I don’t buy how the relationships of the characters form. At the risk of revealing a spoiler, for some reason that is completely beyond me, a romantic relationship forms literally out of nowhere between Jack and Jackie. This is one of my biggest pet peeves in movies. If there doesn’t need to be romance in a movie, don’t put romance in the movie! The relationship between Kristofferson and Jennifer Jason Leigh or Adrian Brody and Daniel Craig are much more interesting, but are practically thrown away. I can’t fault the direction of John Maybury, any of the acting, nor the cinematography of Peter Deming. All of these people were on point with their jobs. The seedy, dirty look of the mental institution is awesome and Maybury gets good performances out of all of his actors, especially Brody, Leigh, and Craig. But let’s go back to the story. Because there isn’t enough focus on the mystery of the time traveling and treatment, nor the aftermath for Dr. Becker, I really can’t connect to the story. I just really can’t deal with the screenplay that Tadjedin has written. It’s really sloppy and I can’t believe George Clooney and Steven Soderbergh put their name on this as producers. The Jacket is so disappointing because almost everything was in place for this to be a cool psychological science fiction thriller movie. Unfortunately, the screenplay is just so convoluted and often times generic that it all just turned into a bore. There was no attention payed to mystery or to leaving real hard questions for the viewers to answer. All we have is a weak ending that seems like it really wants to spark some debate. Ultimately, the ending and the entire movie is a lot less intelligent and original than it thinks it is.